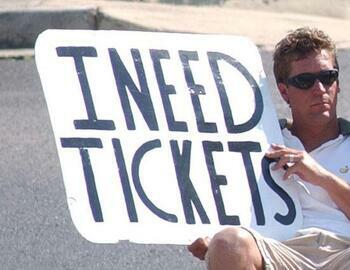 It's that time of year again: the Masters ticket lottery is now open. Head to Masters.com to submit your application for the 2016 event. After creating an account, you can choose which days you'd like to submit for. You can pick every day from Monday-Sunday, but if you are lucky and get randomly selected, you can only win tickets for one day. The practice rounds of Monday, Tuesday and Wednesday are $65 each and up to four tickets can be requested. Tournament round days are $100 each and up to two tickets can be requested. If you don't win the ticket lottery (or the actual lottery), tickets can be quite pricey and fluctuate depending on the level of hype surrounding the event. Before this year's tournament, a weekly badge was about $9,400. After Tiger Woods announced he would compete, the price jumped to $10,500. The deadline for the 2016 tickets is June 30, 2015, and the winners will be notified a few weeks later.